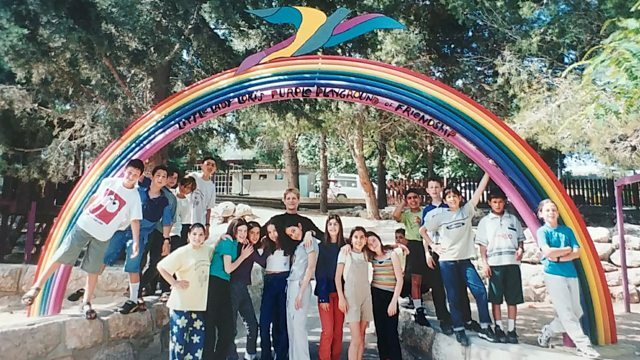 The story of a unique peace community in Israel called Wahat al-Salam, Neve Shalom, where more than 60 Jewish and Arab families live side by side in peace. In 1978 a small community called Wahat al-Salam, Neve Shalom, was founded by four families, Jews and Arabs, on a hill-top between Jerusalem and Tel Aviv. It was a pioneering experiment in peaceful co-existence in the long Middle East conflict. Four decades on, it is now home to more than 60 families. Mike Lanchin travels to the community and speaks to two of its long-standing residents, Nava Sonnenschein and Daoud Boulus about life in this "oasis of peace."